Editor’s Note: This cross-posting is part of a series featuring items from the Julio Mario Santo Domingo collection recently acquired by Harvard University’s Houghton Library. Thanks to rare book cataloger Ryan Wheeler for producing the original post at Houghton’s Modern Books and Manuscripts blog. 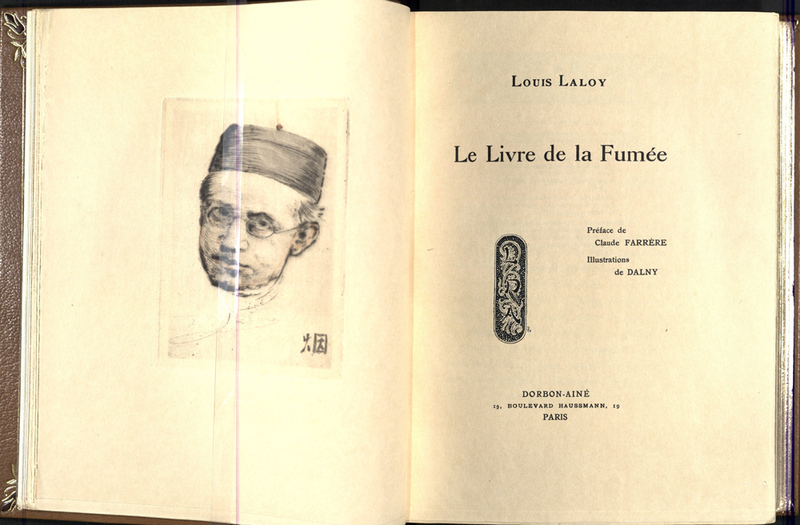 The opium dens prevalent in France and the United States during the 19th century, as well as the culture surrounding them, resulted in copious literature, such as this rarely-seen work: Le livre de la fumée, by French author, musicologist, and student of Chinese culture Louis Laloy. 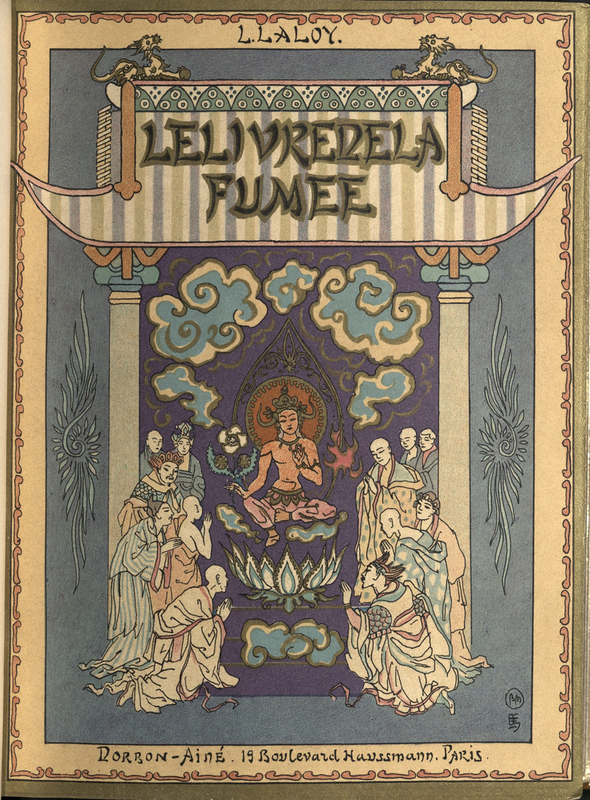 This treatise on opium’s use and history both domestically and in China features a preface by Claude Farrère, author of the novel Fumée d’opium. 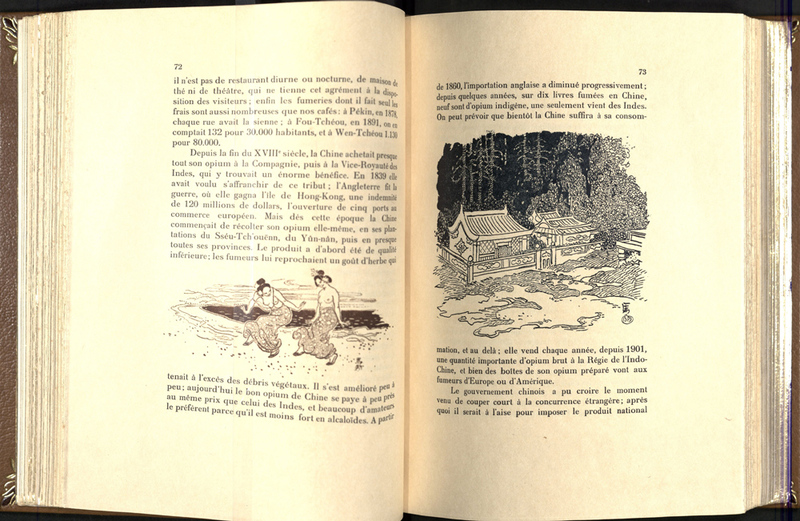 It was published in 1915 by Dorbon-Ainé in a lavish limited edition of 220 numbered copies with illustrations throughout. 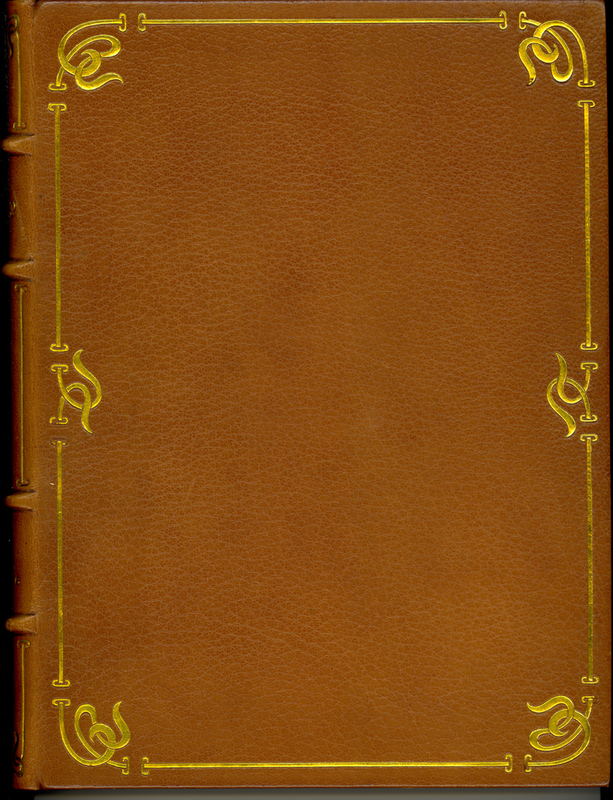 The Santo Domingo Collection includes several of the 220 copies; the one shown here is bound in full tan morocco with gilt stamping and embroidered cloth endsheets by the French bindery Marius Michel. The binding preserves the publisher’s original wrappers, themselves sumptuously illustrated in color. Click on any of these images for enlarged views.